Home decor fashion is all about color this year! From tangerine tango to cabaret to margarita green, we highlight some of the hottest color trends in home decor & fashion. When designing home interiors, color can say a lot about who you are and set the overall mood for the space. What does your home decor color say about you? Look out neutral interiors…here comes color! 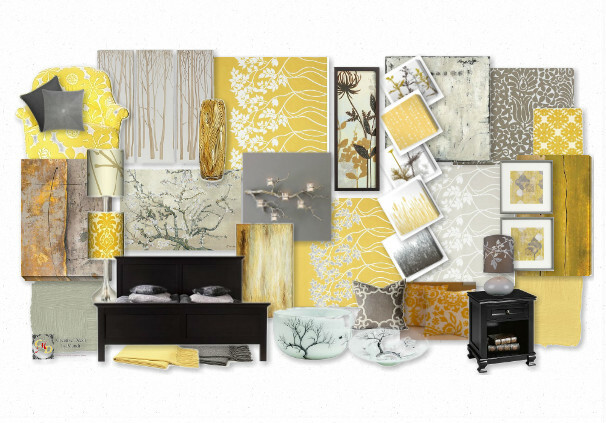 For home decor fashion lovers, we’ve highlighted some cool moodboards reflecting the cool color trends of 2012. You’ll recognize some of your favorite colors from the fabulous Pantone Fashion Color Report Spring 2012. So this season, don’t be afraid to add drama & color to your home interiors. Go Bold or Go Home! From the fashion runway to the most avant-garde, home decor fashion lines, we will be seeing a lot more orange this year. 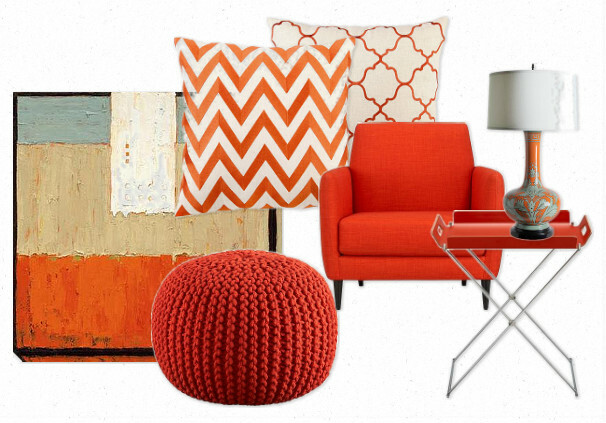 Here we feature the Pantone 2012 Color of the Year: Tangerine Tango. Design Inspiration for this color, ”Modern art, such as Guyton Walker paintings, as well as world travel and primitive cultures,” says Adrienne Vittadini. What does orange say about you? You’re gregarious, fun-loving & high-energy! Moodboard above “Tangerine Tango” by justthebeesknees. 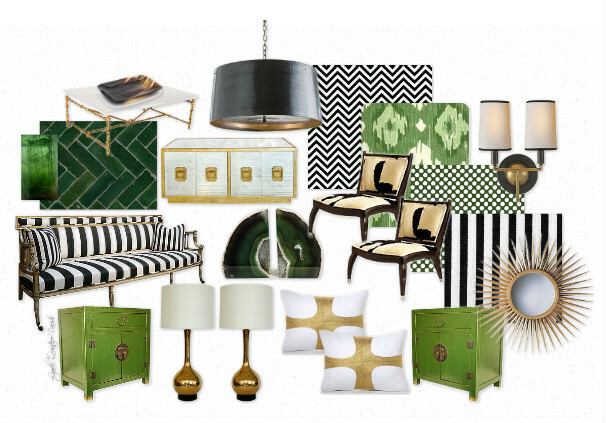 Fashion forward designers know how to add fabulous pops of greens to their design mixes & color stories. One hot hue for 2012 is Margarita PANTONE 14-0116. How do you want your home decor to reflect a mood? Light shades of green reflect calm & cool personalities, teal-green is sophisticated & upscale and deep green is more serious & pensive. Moodboard above: “Emerging Emerald” by nyclq. When it comes to making a high fashion statement, choose hot reds & hot pinks! 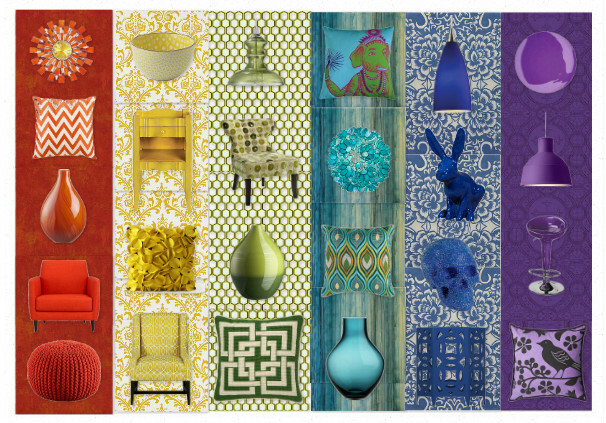 This year, we’re seeing a more eclectic mix from this color story. One of our favs is “Cabaret” PANTONE 18-2140. Who else loves hot pink? The fabulous Betsey Johnson, who talks about her signature color, ”Day Glow Fuchsia because it has been my signature color since 1978 and the world and I love pink.” Red in home decor reflects high energy, which is fabulous for home entertaining. However, soft pink is the perfect choice when designing rooms for babies: it’s calm & soothing. 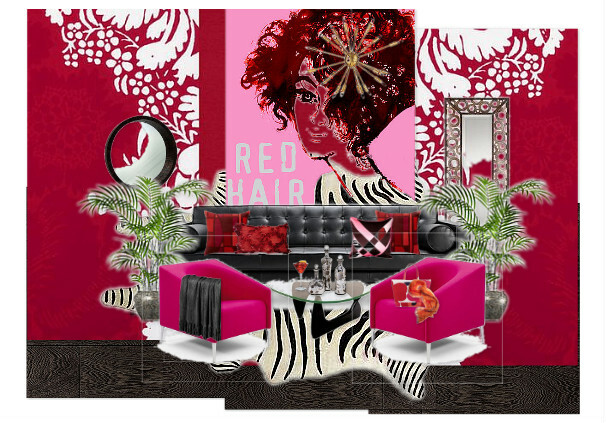 Moodboard above: “Play on Red” by wilmanadine.